Call us at (281) 984-7463 for Office, Tenants and Maintenance. Please login to theowner portal. If you cannot find what you’re looking for in the portal, call us at (281) 984-7463 for Office, Tenants and Maintenance. Please login to thetenant portal. If you cannot find what you’re looking for in the portal, call us at (281) 984-7463 for Office, Tenants and Maintenance. Where Service is Always First! 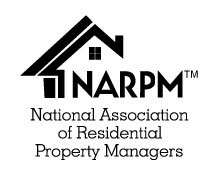 Tired of the headaches that come with managing your rental property? We’ve got it handled. Please call 281-984-7463 for more details. We’re a dedicated partner in your corner and we understand how important quick turnaround time is to you and your bottom line. If we don’t rent your property in 29 days or less, you receive the next month’s management fee FREE. With our marketing plan and world-class client management system, we’re confident we can lease your property quickly and get the rent coming in. We don’t want you to experience the stress of having a tenant walk away—leaving you with an empty property, no rent to pay the mortgage, and the expense of finding a new tenant. So if we place a tenant with you and that tenant vacates your property, we will find you a new qualified tenant for free. We understand the frustrations that come with communicating with your property management company. With the 24-Hour Response Guarantee, we guarantee that we will respond to any phone call, email, or text within 24 hours. The Animal Protection Guarantee is designed to fully protect the owner in case of animal damage. 80% of tenants have at least one pet. Real Property Management Prestige will help minimize the risk by covering the cost of all animal damage up to $1500. We stand behind our commitment to relieving your hassles. If for any reason, you’re not completely satisfied at any time, you can terminate your agreement. No questions asked. Just let us know in writing that you wish to terminate our services and we will refund all your management fees. No hassle, argument, questions, or hard feelings. We only get paid when the tenant pays! This makes sure we are doing everything we can to ensure we get your property rented and the tenant paying on time every month. Please login to the owner portal. If you cannot find what you’re looking for in the portal, call us at (281) 984-7463 for Office, Tenants and Maintenance. Please login to the tenant portal. If you cannot find what you’re looking for in the portal, call us at (281) 984-7463 for Office, Tenants and Maintenance.